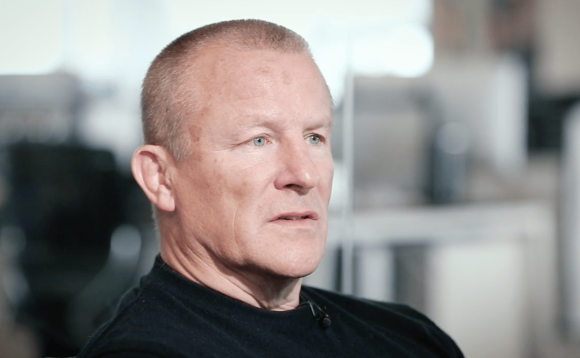 Economics is more art than science as there are too many variables at play to make “any attempt to isolate them for rational academic study” and renders the results “virtually worthless – irrelevant in the real, irrational world,” according to UK star fund manager Neil Woodford. As a student of economics and agricultural economics at Exeter University in the late 1970s and early 1980s, I was well aware of my chosen subject’s dubious nickname as the ‘dismal science’. In many respects, the agricultural aspect of my course appealed to me more and I did seriously contemplate a career in farming upon graduation. Ultimately, I decided to head in a different direction, however, but the academic nature of my course proved practically useless in the early years of my career in investment. The social aspect of my university experience and, in particular, the rugby, stood me in far greater stead than the degree itself. I have long believed that economics isn’t really a science at all – it’s an art. There are so many variables at play in macroeconomics, that any attempt to isolate them for rational academic study, renders the results virtually worthless – irrelevant in the real, irrational world. A good example of this is provided by the work of the post-war economist, A. W. Phillips, which I can remember studying at university. Phillips studied the levels of unemployment and inflation in the UK economy over a 100 years or so to the mid-1950s, and concluded that the two variables were interlinked, with an inverse but stable relationship existing between them. In other words, Phillips concluded that you could have low unemployment alongside high inflation, or high unemployment with low inflation, but both could not be high or low at the same time. The ‘Phillips Curve’ was very quickly seized upon by policymakers who longed for a simple macroeconomic model to guide their decision-making. This was the birth of inflation-targeting – fiscal policy (and more latterly, monetary policy) could be adjusted to try to maintain inflation at or near its target, and a certain level of unemployment was deemed as acceptable in that pursuit. Despite being severely challenged by the 1970s oil price shock which led to a period of high inflation and high unemployment, the Phillips Curve has remained an influential model in economic decision-making ever since. The question is, though, does the curve still hold true today? In theory, yes, but in today’s real world setting, my opinion is that it does not and recent data supports this view. In the UK, unemployment and inflation have both been declining steadily since 2011. The same is true for the US economy and, although unemployment has been a more enduring problem in parts of the eurozone, here too, the economic outcomes in recent years defy what the Phillips Curve would lead us to expect. It is clear to me that there are many variables at work in developed economies that are having an impact on rates of inflation and unemployment, which confound the Phillips Curve’s simplistic theories. In my opinion, this is the result of the influence that the dynamics of debt, demographics and deflation are having on labour markets across the developed world. Since the financial crisis, I believe that workers have begun to realise that they do not have enough savings to maintain their lifestyles into retirement. The post-crisis policy of ultra-low interest rates has clearly not helped here – cash savers now receive a tiny fraction of the return that they used to enjoy. At the same time, employees have slowly acknowledged that they cannot rely on their governments to fund their retirement to the extent that they had for prior retirees. The only real options for workers facing this predicament are to either drop-out of the labour force and accept a lower standard of living or to try to perpetuate their working lives by postponing retirement. Those workers choosing the latter have tended to price themselves in to work, accepting lower wages to continue in their jobs. These dynamics help in part to explain the lack of productivity growth in western economies, and the lack of wage growth that has been evident despite declining rates of unemployment. They also help to explain why younger generations have found it harder to make their way into the labour market and the growth in self-employment. On the face of it, labour markets may look tight but powerful forces are currently exerting deflationary pressures on economies, not the inflationary pressures that the Phillips Curve would predict. This is what is causing so much debate amongst central bankers at the moment and so much confusion within financial markets about the likely near-term direction of interest rates in the US. Some policymakers retain faith in the old relationship between inflation and unemployment and see tighter labour conditions as justification for tighter monetary policy, even when inflation remains stubbornly below forecast. Meanwhile, others are more sceptical about the Phillips Curve’s relevance in the current economic environment, and promote further monetary easing. My view remains that the world economy will continue to be challenged by low growth and deflation and that interest rate increases are a long way off. Indeed, I expect to see further easing and more extraordinary monetary policy in the months and years ahead. If I am wrong about that, then I believe that any decision to tighten monetary policy will prove to be a mistake. As a result of all of this, I continue to position my portfolios with the expectation of a challenging economic environment in the years ahead. It is difficult to argue that the equity asset class is cheap anymore, but there are still some tremendously attractive investment opportunities within it and my strategy is focused on pursuing these.